When the tendon is stretched beyond its normal capacity, a complete or partial tear may occur. Most Achilles tendon ruptures occur as a result of sport-related injuries when forceful jumping or sudden accelerations of running overstretch the tendon and cause a tear. 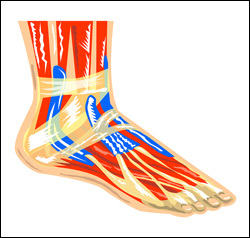 Individuals with Achilles tendinitis — weak and inflamed tendons — are also more susceptible to tendon tears.